The British Virgin Islands has hit law firm Mossack Fonseca with the biggest fine in the territory’s history following an investigation into Panama Papers revelations. The Financial Services Commission (FSC) imposed the $440,000 administrative penalty against Mossack Fonseca’s BVI operation on Friday, citing eight breaches of BVI’s Anti-Money Laundering and Terrorist Financing codes and its Regulatory Code including failures in risk assessment, due diligence and identification procedures at the law firm. The Panama Papers investigation, based on a trove of 11.5 million leaked files from inside Mossack Fonseca, exposed the inner workings of a secretive financial system used by world leaders, wealthy individuals, drug lords, fraudsters and more. More than half of the offshore companies in the leaked files were incorporated in the BVI. 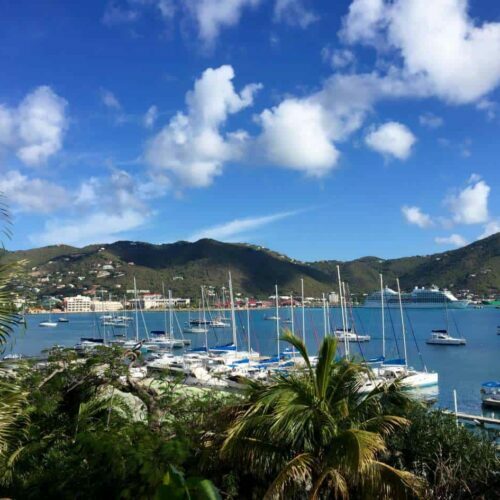 The penalty is the largest ever levied by BVI authorities and followed a six-month investigation, which included on-site compliance inspections and the appointment of an officer to monitor Mossack Fonseca’s operations in the jurisdiction. Premier and Finance Minister Orlando Smith said the investigation and fine against Mossack Fonseca was evidence of the government’s commitment to regulating the financial industry in the BVI and to working with other international authorities to ensure transparency in the system. “Achieving this outcome in the face of intense international scrutiny is testament to the FSC’s conviction, dedication and willingness to conduct such a thorough investigation whilst holding to account those who fail to comply with the territory’s structure and regulations,” he said. But anti-corruption activists Transparency International said the penalty against Mossack Fonseca was “too little, too late” compared to the scale of the revelations in the Panama Papers and the harm caused by offshore financial secrecy. “It is at least welcome that the BVI has finally recognised inadequacies in the anti-money laundering controls at Mossack Fonseca, but given that it took a leak for its regulator to work out what was happening in its own backyard, the BVI’s own abilities as a regulator are inevitably called into question,” Robert Barrington, Executive Director Transparency International UK said in a statement. It was the fourth time Mossack Fonseca had been penalized by the BVI authority since 2012. Previously, the BVI’s biggest fines had been for the two offshore service providers at the center of ICIJ’s 2013 Offshore Leaks investigation, Commonwealth Trust Limited (fined $335,000 in 2014 and $100,000 in 2013) and Portcullis TrustNet (BVI) Limited (fined $205,500 in 2013). In the United Kingdom, three bank employees have been arrested as part of an investigation into insider trading linked to the Panama Papers. Separately, 22 individuals face tax evasion investigations and a further 43 wealthy individuals’ tax affairs are under review as U.K. authorities continue to probe the Panama Papers findings and data. The Canada Revenue Agency is investigating 85 Canadians, and has executed search warrants and launched criminal probes as a result of information revealed in the Panama Papers. Indian authorities are reportedly undertaking the largest offshore financial inquiry ever in the country in response to the Panama Papers, and are currently reviewing the finances of 415 Indians. In Pakistan, the Federal Board of Revenue announced that it has so far identified 20 individuals who were named as directors of offshore companies in the Panama Papers and Bahamas Leaks data who had reportedly not filed income tax returns over a five year period. Separately, the Supreme Court hearing and investigation into the offshore connections of Prime Minister Nawaz Sharif’s family members continues. Members of European Parliament had a chance to question Nobel Prize-winning economist Joseph Stiglitz on tax evasion and financial secrecy, as part of an ongoing investigation by a specially-convened committee tasked with probing financial secrecy in the wake of the Panama Papers. Stiglitz’s appearance before the committee came a day after he and anti-corruption expert Mark Pieth released their own report on the state of offshore finance and potential reform measures aimed at boosting transparency in the industry.